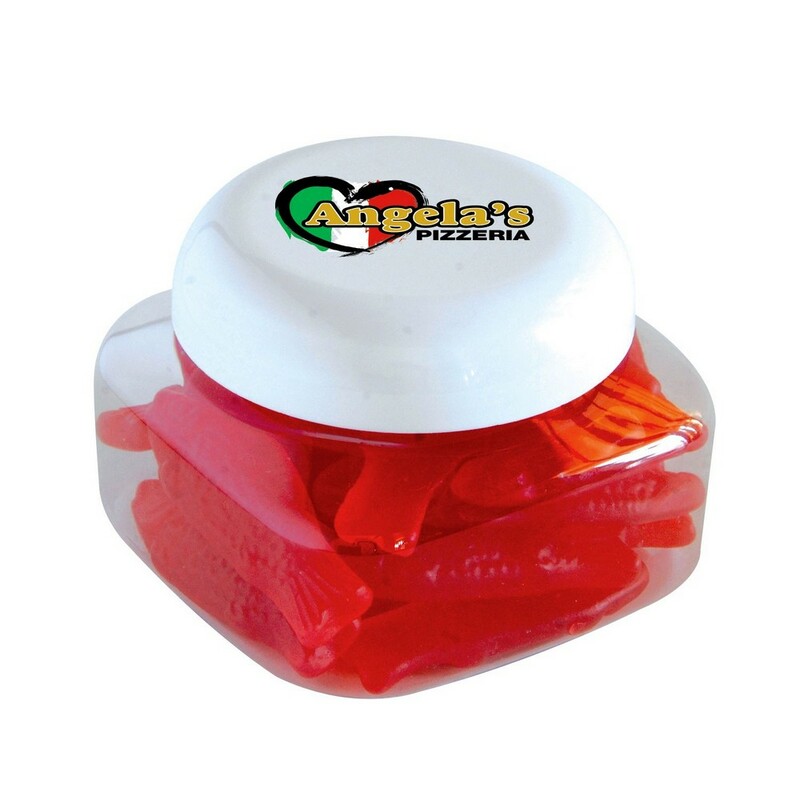 Our Swedish Fish in Small Snack Canister are chewy, soft, fruity, and feature a reusable container. Dimensions: 1.88 " x 2.88 " x 2.875 "
Create waves of brand impressions at upcoming promotional events with the Swedish Fish in Small Snack Canister. These candies come in an assortment of flavors to treat your taste buds. They are chewy, soft, fruity, and definitely don’t taste like fish. The recipient is sure to associate the pleasing taste to your brand, when you hand out these delectable candies in your trade show booths. They make great party and wedding favors and also serve as scrumptious giveaways that get the maximum return on investment from your marketing campaigns.